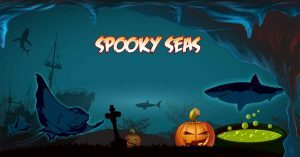 Families are invited to a special spook–tacular half term event at National Sea Life Centre Birmingham from 14th to 31st October. 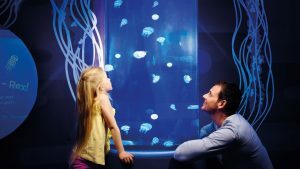 Feast your eyes on the attraction’s jellyfish species, which have been in existence for over 600 years, these intriguing characters move like ghosts through the water. 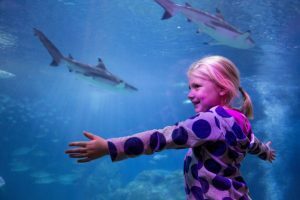 Come face to face with all kinds of mysterious sea creatures like sharks and red-bellied piranhas as well as exploring the centre’s themed displays. Did you know that seahorses can change colour to camouflage and avoid predators? What a trick! Did you know that shoaling fish, such as tuna, stick together for protection? What a treat! Experience all the attraction has to offer this Halloween, learning all about the fascinating creatures of the deep and get involved with some fun activities. Visitors will also find out about the centre’s conservation programme and how it helps to protect the seas and the sea creatures within it. If you’re looking for Halloween-themed family fun this half term, you and the kids are in for a real treat (and no tricks!) at The National Sea Life Centre Birmingham. Disclaimer: I was given a free family pass to the Sea Life Centre as an incentive for this post.